Home → Resources → Living in the CSPA → What is Regionally Sensitive Groundwater? 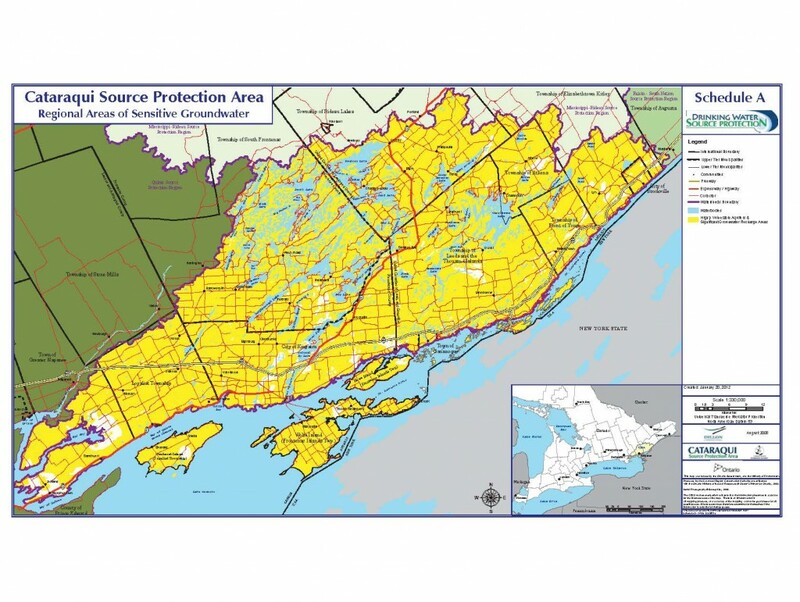 About 20 per cent of the Cataraqui Source Protection Area residents rely on drinking water from private intakes or wells. In the Cataraqui Source Protection Area, the soil is generally thin or absent and the underlying bedrock has many gaps called fractures. Sources of groundwater are considered a highly vulnerable aquifer (HVA) when there isn’t enough natural protection (e.g. 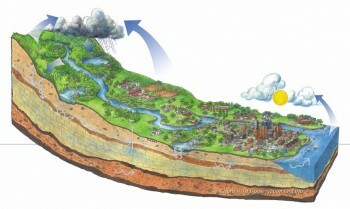 soil) above the aquifer, and it is easy for contaminants on the surface to reach the aquifer. When there is a high rate of infiltration from the surface into the ground (recharge maintains water levels in aquifers), the area is considered a significant groundwater recharge area (SGRA). Much of the area covered by HVAs is also an SGRA. Click on the map to open a PDF in a new tab.